Which Masters Degree - MRes or MA/MSc? Master of Arts (MA) and Master of Science (MSc) degrees are largely taught courses and and Master of Research (MRes), while containing some taught elements, focuses more on research skills. That’s not to say that there aren’t taught and research elements in both degrees. There are often taught elements in MRes courses and there is almost always a research project at the end of an MA/MSc. The emphasis is different however; in MRes courses, around two thirds of the course content consists of research project work – in taught masters courses the research project will be nearer a third. In both MA/MSc and MRes programmes, courses tend to be a year of full time study, or two years part time. Both are likely to end with a final research project or dissertation. The number of taught hours per week varies between courses and will often depend on the subject. There will also be a certain amount of research required in order to complete the final project or dissertation. When is it better to do an MRes? As the Open University says on its website: “The Master of Research is a full-time degree that provides an excellent introduction to research methods and provides a firm foundation for those who wish to pursue doctoral study”. With an MRes, the focus is on developing an individual’s research skills and so provides a good preparation for postdoctoral study. 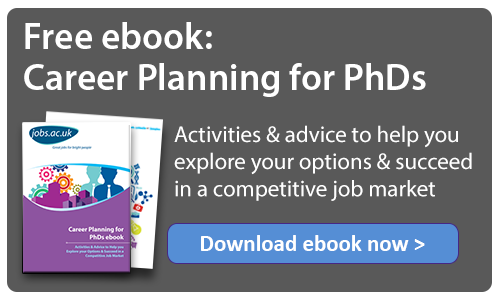 However, that’s not to say that a taught masters such as an MA or MSc isn’t sufficient preparation for a PhD – it’s still a very common entry route into a PhD. But if you have the choice and you’re sure you want to pursue research beyond your masters study – other factors aside – an MRes might be a preferable option. When is it better to choose an MA/MSc? If you have no intention of pursuing a research degree or a career in research, and simply want to expand your knowledge and expertise in a particular area, either for personal interest or career reasons, then perhaps a taught masters is for you. Certainly, taught masters courses are more commonly available generally in the UK; Prospects (www.prospects.ac.uk) lists more than 10,000 MA/MSc courses as opposed to around 800 MRes programmes. A good example of how the course structure of an MRes differs from an MSc is given by the University of Liverpool’s School of Biological Sciences. Its new Post-Genomic Study programme is offered as either an MSc or MRes. A closer look at each programme structure shows that the first semester consists of the same choice of taught modules. In the second semester, however, the MSc course offers further taught modules while the MRes students either undertake the first of two research projects or a long research project which carries over into the third semester. MSc students don’t start a research project until the third semester, while the MRes students will either be in the middle of their long research project, or beginning their second of the two research projects. Sara McDonnell has edited numerous higher education titles, including the University and College Guide and Postgraduate Guide (both for Hotcourses) and the British Council's Postgraduate UK magazine. She also helped launch the web portal www.scholarship-search.org.uk.